I’ve been under the weather this weekend and had to postpone a big tasting I had planned with a few buddies yesterday. But before I succumbed to the horrendous man-flu that cut me down so savagely in my tracks, I snuck this wine in. Here’s a brief note on it. I don’t usually read anything on the wines I’m tasting so I’m not distracted or influenced by others. Nor do I read the back labels, so I don’t even know the wine handling usually. I went in blind on this one. 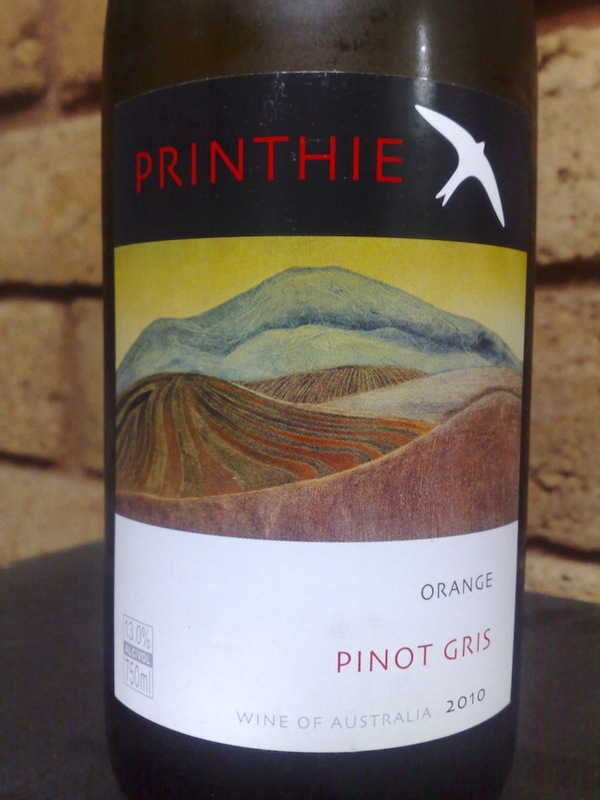 Pinot gris is a tough ask on wine-tasters – my partner likes them, and when quizzed she says ‘because they don’t have much taste’. Hardly a recommendation I know, but sometimes you just want a simple white wine and not have to think too hard about it. That’s pinot gris. So, although I was expecting the usual non-descript pinot gris style, I was pleasantly surprised to find much more. Lovely aromatics of rose petal and sherbet, some green apple and nashi pear. There were some herbal qualities too, in a nice way – imagine rubbing a fresh bay leaf between your fingers before smelling them. Also liked the orange rind-iness. And the honeyed lime. Taste-wise I picked out some limey citrus flavours and some marzipan, but the remainder fitted into the floral/spice spectrum: sandalwood, musk, rosewater – and ending with ripe stone fruits: peach, nectarine. There’s a creaminess and layering on the palate too which led me to suspect some barrel work. It’s very well-handled – there, but not there – if you know what I mean. This is probably the most enjoyable pinot gris I’ve had in many a moon. Quite pleased with my tasting efforts too, as my notes uncannily reflect what the Printhie dudes wrote on their back-label – an unusual occurrence. But it's the booze that matters, and this is good booze. Value: Very good value at $17. 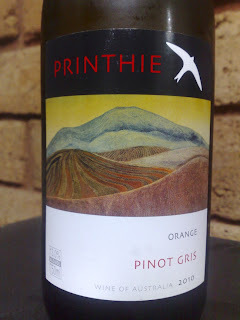 Producer: Printhie Wines – www.printhiewines.com.au – owned by The Swift family.